Alborada has a large sunbathing terrace, a children’s pool and table tennis. The hotel offers evening entertainment and daytime activities for children. There is also a diving school. All of the spacious apartments have a lounge area with satellite TV and a kitchen with microwave and fridge. WiFi access is available for an extra charge. The Alborada’s restaurant serves breakfast, lunch and dinner, including classic Spanish and international dishes. Cold afternoon snacks are served between 16:30 and 17:30. There is also a pool bar with free WiFi. A bus stop and taxi rank can be found just outside the hotel. The supermarkets and restaurants of Las Galletas can be found within 5 minutes’ walk. Each of the apartments in Alondras Park comes with a spacious lounge, where you can relax and chat with family or friends in the evening. With well-equipped kitchens in all the apartments, you can prepare your own meals. Relax by the swimming pools during the day, enjoy sunbathing and reading, while the children play in the adjacent children’s pool. Dine on site in the evening – you have the choice of preparing your own family meals in the apartment, or you can grab a bite to eat in Alondras Park’s restaurant. Offering an outdoor swimming pool and sea views, Apartamentos Rocas del Mar on the Costa del Silencio is in southern Tenerife. Rocas del Mar apartments have a separate living room including a sofa, dining table and flat-screen TV with satellite channels. The kitchen comes with an oven and kitchenware, while the bathroom has a bath tub. There is a pool bar and a restaurant in the complex. A wide range of restaurants is also available 10 minutes’ walk from the property. Tenerife South Airport is 20 minutes’ drive from the apartment. 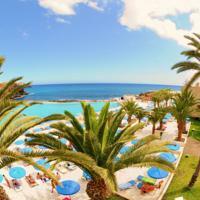 Famous Playa de las Americas Beach is 25 minutes’ drive away. Offering a shared swimming pool, Costa del Silencio is located in a residential area next to Las Galletas. The 2-bedroom apartment has a living room with a sofa and flat-screen TV. An oven, microwave and washing machine are included in the kitchen. The bathroom comes with a bathtub. Next to the pool, guests can enjoy a sun terrace and a garden. There is also a tennis court, children’s playground and BBQ facilities. Various restaurants and supermarkets can be found within 200 metres. 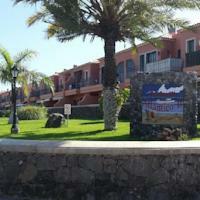 Los Cristianos Harbour and Las Americas Beach are less than 20 minutes’ drive from the property. Los Palos Golf Club is 7 km away. Tenerife South Airport can be reached in 15 minutes by car. Costa del Silencio, also known as Ten Bel, is a complex tourist located 19 km from the capital city, near Las Galletas , on the coast of the municipality of Arona south of the island of Tenerife ( Canary Islands, Spain ). 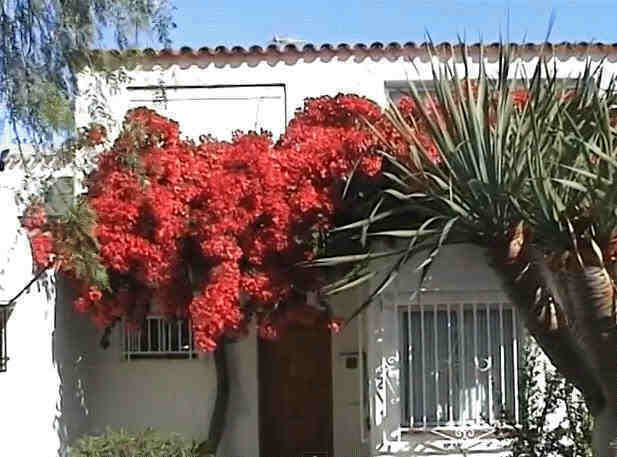 Ten Bel name derives from the juxtaposition of the words “Tenerife” and ” Belgium “, given its location in Tenerife and nationality of its original owner, a Belgian. Many times you see written the script name (“Ten-Bel”), although originally he never wrote well. The complex was built in the early seventies extends to the Yellow Mountain .